Neighbourhood support signs & Wheelie Bin Tow Hitches available. 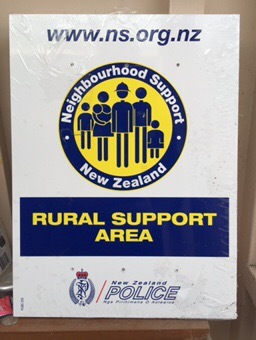 Rural Neighbourhood Support area signs are available for free, pickup from Martin Access Road. – Contact Chris to arrange collection.